I’m Keeping the weekly wellness spoonfulls coming with the second installment of “a spoon full of”, this week I’m talking Crystals. I recently incorporated a crystal practice into my life and I’m digging it. I have a cluster of three crystals on my bed side table and I’ve felt a noticeable improvement in my anxiety. Sometimes I like to walk around holding my selenite when I’m feeling out of sorts and I swear it helps ground me. Each crystal has its own unique set of benefits so here’s a run down of the crystals I’ve been into. When selecting your own crystal pets I suggest just picking up what you’re drawn to and doing your researching later, if you’re getting into crystals you might as well trust their divine ability to find you. 2. Selenite: This opaque stone usually comes in a pillar shape and can range in size from tiny to human height. 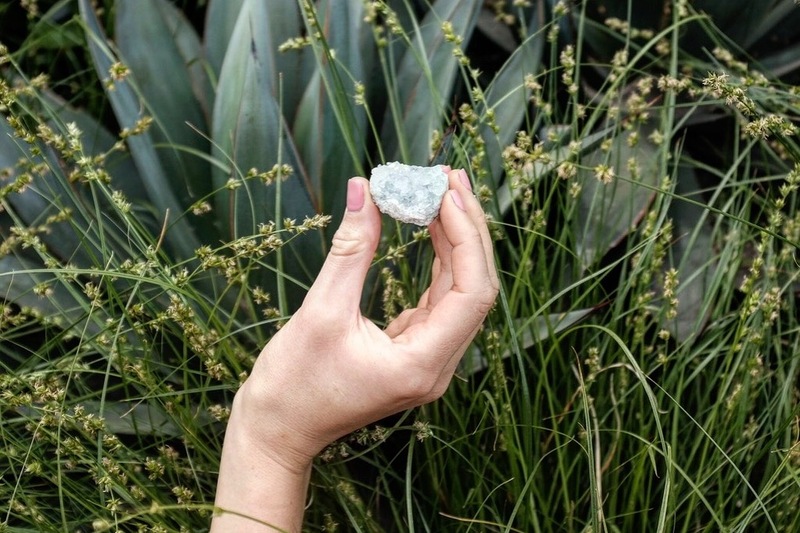 Selenite crystals are remarkably peaceful, super helpful for type A individuals. This crystal is one of the only crystals that doesn’t need to be cleansed and can actually energetically clean your other crystals. The crown chakra (the purple one up top) is connected with the Selenite stone and can be used to contact your Guardian Angel or Spiritual Guides. 2. 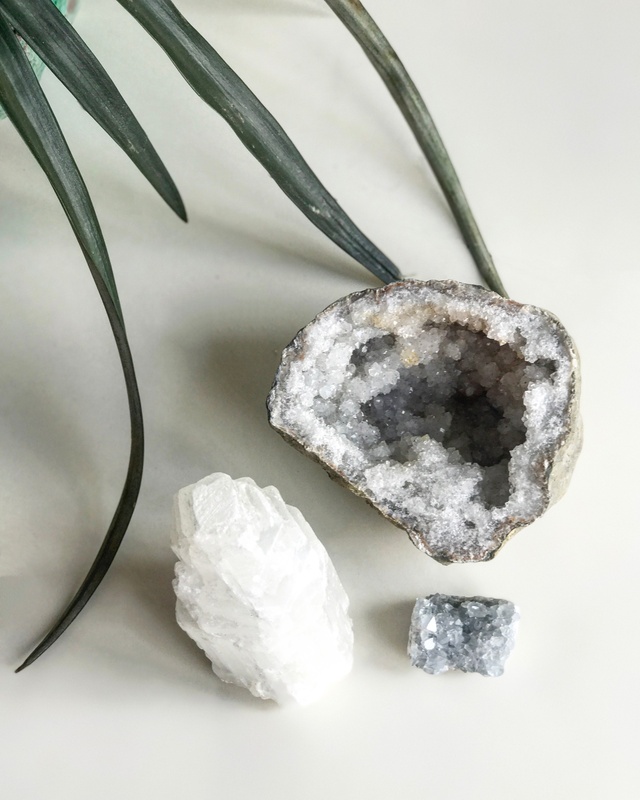 Quartz: My quartz is in the geode form which I think is très cute but it can also come in crystal chunks. Ancient civilizations utilized quartz to balance the body and clear the mind. It’s a powerful crystal that transmutes negativity and amplifies positive energy. It also directs high frequency energy into the body, stimulating spiritual, physical and emotional healing. "Skin Saving Mediterranean watercress bowl"
"A Spoon Full of Acupuncture"
I love crystals!! I have two on my bedside table to absorb negative energy and help me sleep better. I haven’t had a bad dream ever since I got them, which is magical. Great post! I just started getting into crystals and thought this was helpful. 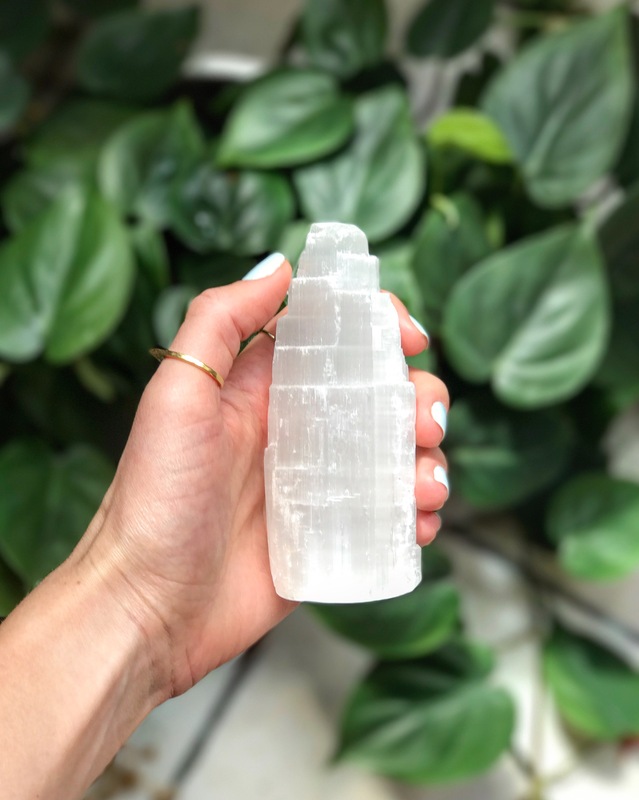 Could you possibly share some places that might be good to buy crystals from as well? Thanks! Hi CK! I love the house of intuition, they have 2 locations one on sunset in echo park and one on melrose in weho!